October in the Durham Media Center is a fun and festive time celebrating many of the scary stories that are part of the library collection. 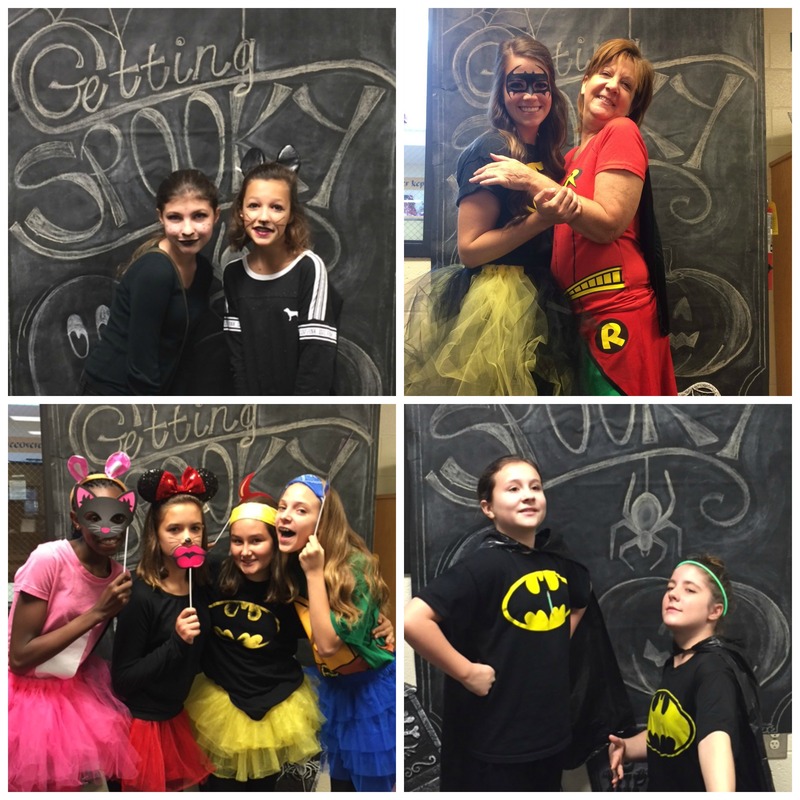 A spotlight on spooky fiction and nonfiction titles available for check out, and the Getting Spooky Photo Booth, are two of the features the media center offers in celebration of the season. During Halloween week, Spooky Books Trivia is presented each morning on the news, and students have the opportunity to submit answers to questions in the hopes of winning a paperback book from Mrs. Baker’s secret stash. Below are the lucky winners from this year’s trivia. Be sure to stay tuned for more fun events in the works. 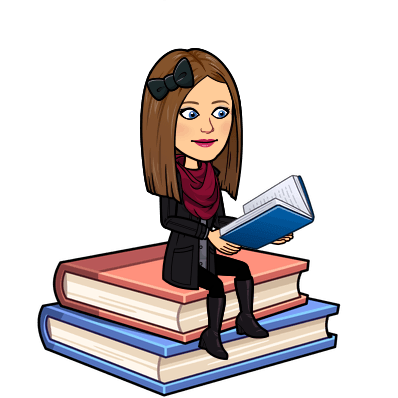 Monday: Seth B., Amaya M., Emily G., Madison V., Parker B.
Tuesday: Soumit G., Austin P., Connor S., Mikayla C., Blair B.
Wednesday: Trenton H., Lauren F., Ashley C., Sophia H., Elyssa W., Maddie S.
Friday: Sophia K., Nigel C., Ryan H., Ava H., Maggie F.
Mrs. Wishon is the perfect Batgirl! Sixth grade teachers are superheros every day, not just on Halloween. The circulation desk gets spooky too. 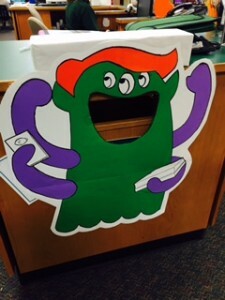 Students feed books to our monster! 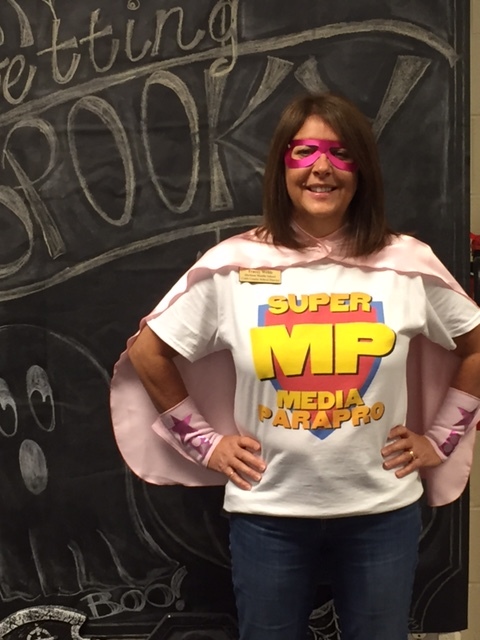 Media paraprofessional, Mrs. Webb, shows off her superhero powers! Need support for your argument? Then Opposing Viewpoints in Context is the source for you! Mrs. Dean’s and Mrs. Miller’s 6th grade Reading students recently had the opportunity to partner with Mrs. Baker as they researched support for their claims regarding current issues of their choosing. 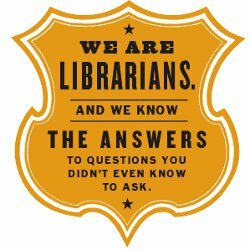 Students were guided through utilizing this Cobb Digital Library database, but anyone can be advised of the basics by checking out the Opposing Viewpoints in Context Pathfinder. Need more help? 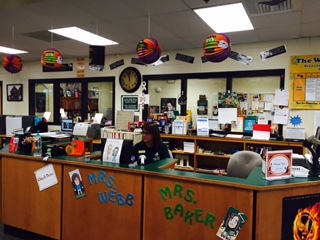 Swing by the media center for a one-on-one consult with your media specialist, Mrs. Baker. 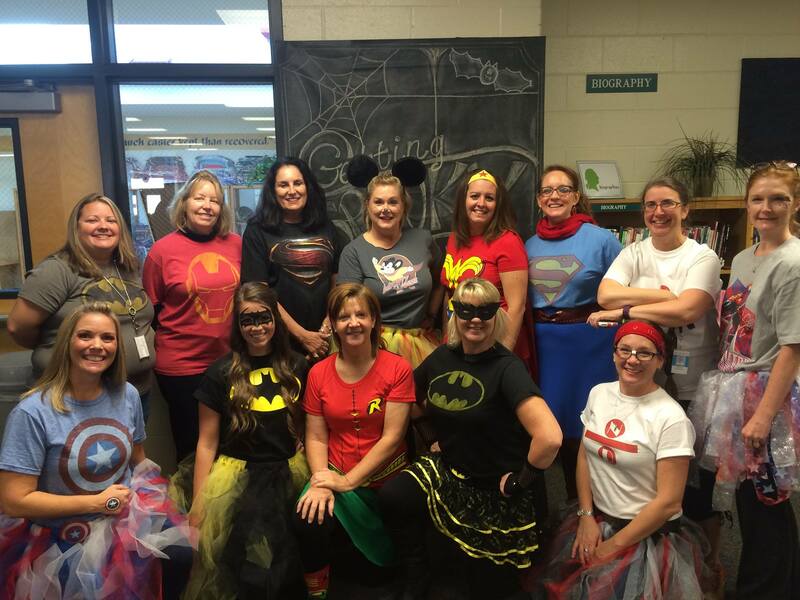 Did you know that the Durham Media Center opens at 8:30 a.m. each school day so that students and teachers may make the most of every minute of their day? During this time, print and non-print resources, as well as computers, a new media scape table and charging stations, and collaborative areas are available for student use. The media center is the ideal place to gather with group members to collaborate on projects or to study. In the morning, students may also want to take time to peruse the collection of print books, ebooks, and audiobooks and to take advantage of the guidance and instructional assistance offered by Media Specialist Mrs. Baker and Media Paraprofessional Ms. Webb. There are also cozy, soft-seating spaces designed specifically with readers in mind. The mornings present the perfect opportunity to catch up on a good read. 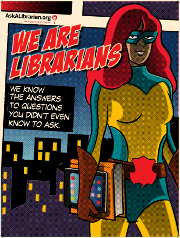 Durham’s Media Center is a space that is in constant growth as the needs of its patrons change. Check in often to witness its evolution. 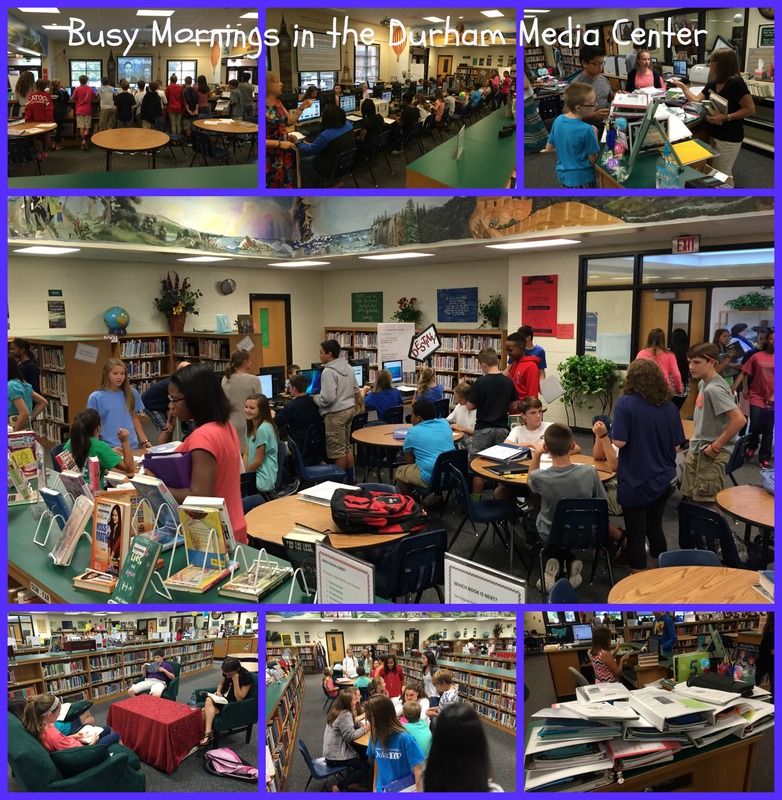 Here are a few snapshots of the busy mornings in the DMC. It is definitely the place to be. Mrs. Downey’s and Mrs. Stahler’s classes are teaming up with Mrs. Baker as they delve into their Genre Journey. 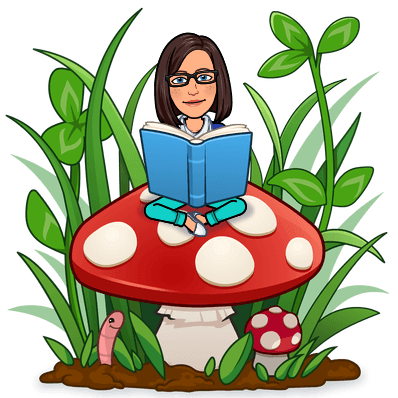 On Thursday, October 1st, Friday, October 2nd, and Monday, October 5th, (students should check their teacher’s blog for the specific date that pertains to them) Mrs. Baker will guide students through brief synopsis of the the genres of fantasy and horror. Students will take notes via a provided graphic organizer and will then check out works of fantasy or horror or both. The activities for this lesson are attached below. Access them if you are unable to complete the notes during class or if you were absent from this lesson. 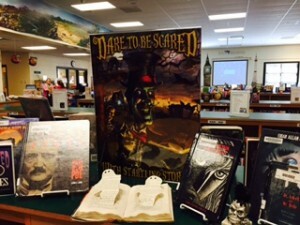 Note: Be sure to check out the examples of horror currently featured in the media center. Drama and Broadcast teacher Mrs. Zwolle and Media Specialist Mrs. Baker recently teamed up to lead 8th grade Drama students through a study of stereotypes in an effort to gain understanding of the role stereotypes play in dramatic production. 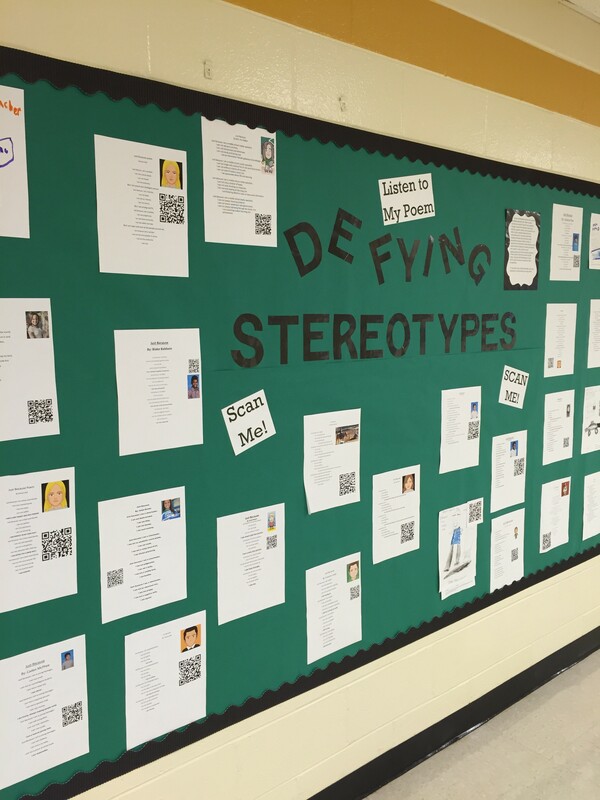 Mrs. Baker guided students through a variety of activities focusing on stereotypes present in society. 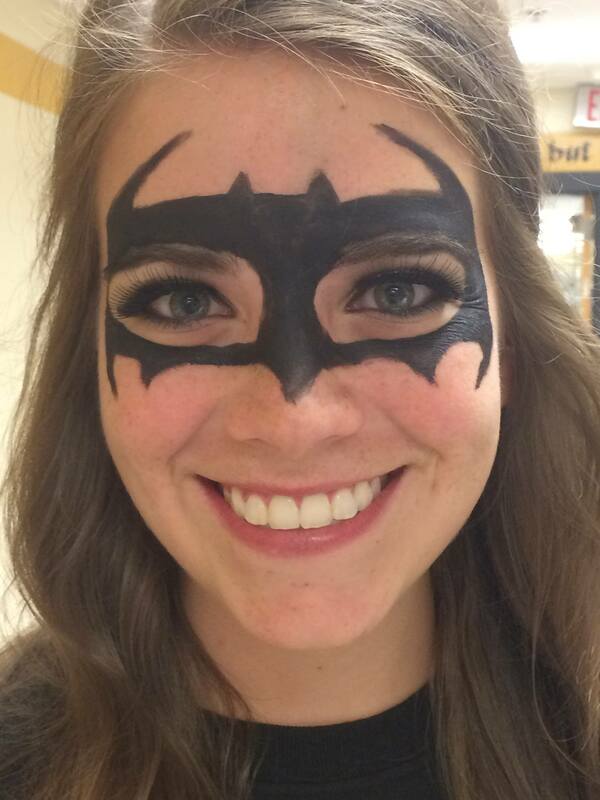 After several days of study, students began to reflect upon how they might personally be typecast by others. 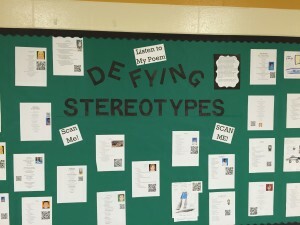 In opposition to those labels, they wrote poems titled Just Because defying the prescribed stereotype they had identified. 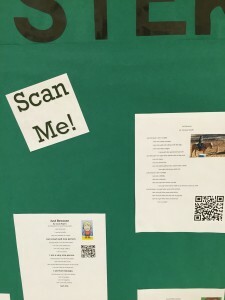 Then students used Vocaroo to record audio recitations of their poems which they turned into QR codes which are now displayed in the main hallway. Students also presented their poems orally in class. Below are a few snapshots of the students’ final products. Passers by can scan the QR codes to listen to the students reciting their poems. Students’ final products feature their personal poems that defy the stereotype that might be projected upon them by others. Visit the main hallway to learn more Durham’s 8th grade Drama students.